Doubleday. Hardcover. 0385422776 Like New Condition. . Fine. New York, New York, U.S.A.: Doubleday, 1992. Unpaginated. Dustjacket has light wear on the edges with rubbing to the authors name.. Browning to page edges.. First Edition. Hardcover with Dustjacket. Very Good/Very Good. 8vo Square. New York: Doubleday, 1992. First Edition stated w/full number line; 8vo; vg- (boards sltly bowed; spine ends bumped; bottom corners worn; prev. owner wrote 'Michael Jackson I love you!' on fpastedown and her name and address on first title page; starting at pp72-73) in vg dj (edges worn and bumped, esp. at spine ends and corners); 149pp.. First Edition. Hard Cover. 1992-03-04. Good. Ships with Tracking Number! INTERNATIONAL WORLDWIDE Shipping available. May not contain Access Codes or Supplements. May be ex-library. Shipping & Handling by region. Buy with confidence, excellent customer service! Doubleday. Hardcover. 0385422776 New Condition. . New. Doubleday. Hardcover. 0385422776 1st Edition, 1st Printing 1992 Doubleday Publishing. Book is in like new condition. Customer service is our #1 priority. We sell great books at great prices with super fast shipping and free tracking. . Fine. U.S.A.: Doubleday, 1992. Book. Near Fine. Hardcover. 1st Edition. very light wear, clean tight copy. no remainder mark. jacket is not price clipped. first edition stated and complete number line. New York : Doubleday, 1992. Stated First Edition. An exceptional copy; fine in an equally fine dw. Particularly and surprisingly well-preserved; tight, bright, clean and especially sharp-cornered. Literally as new. ; 149 pages; Description: 149 p. : ill. ; 24 cm. 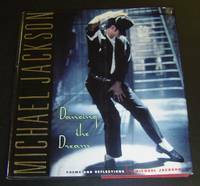 Subjects: Poems - reflections - Michael Jackson..
1992-03-04. New. Ships with Tracking Number! INTERNATIONAL WORLDWIDE Shipping available. Buy with confidence, excellent customer service! Bantam Dell Pub Group, 1992. First printing. Hardcover. As New/as new. Book is in GREAT condition and appears to have never been read. 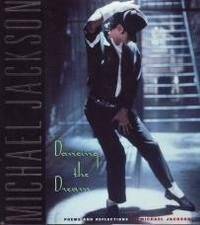 This copy is unique in that it has been SIGNED by Michael Jackson in his FULL SIGNATURE in blue ink on the title page. 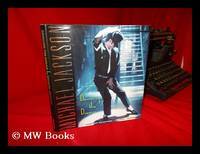 This is not a copy or preprint of his signature but is signed by the hand of Michael Jackson after publication. This is a very rare book and is sure to go up in value as these titles are becoming very hard to find and almost impossiable in a signed edition. RIP Michael you will be missed.